This paper was in response to a call for research to explore brand identity, meaning, image, and reputation (BIMIR) in higher education in the Journal of Business Research. The paper was written in collaboration with Stuart Roper and Fiona Lettice. The study set out to determine whether use of social media platforms would raise the value of universities’ brands by increasing demand for places. If social media use were found to improve brand performance, the study would then determine which aspects of social media would be of the greatest value. Introduction – While many effective methods exist for enhancing brand image, use of social media is increasingly becoming the most common across all sectors, as it allows almost universal access. Although considered controversial in some quarters, Higher Education Institutes (HEIs) have begun communicating in the tone of the marketplace in order to attract students, their de facto customer base, amid inbuilt inequities in both material assets and reputation. 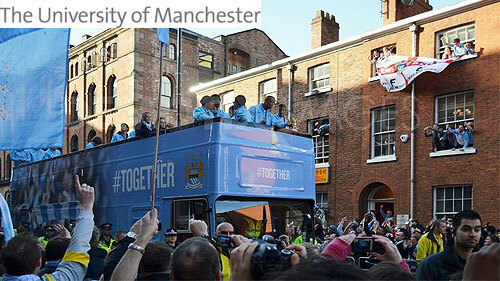 Universities with a well-established history of excellence, such as those in the Russell Group, have a significant advantage over newer HEIs or those which are smaller or have restricted access to funding, but the relatively low cost-to-engagement ratio of social media enables all HEIs to embrace it. The research question being: can institutions with lower reputational capital compete for students by increasing their brand presence? The level of HEI initiated social media activity on Twitter and Facebook positively and significantly relates to student recruitment performance – the first hypothesis would be shown to be correct if a clear connection could be demonstrated between those institutions which initiated a greater amount of social media activity and those which experienced an increase in student recruitment. ‘The level of HEI social media validation on Twitter and Facebook positively and significantly relates to student recruitment performance – for the second hypothesis, the connection would need to be made between success in recruitment and numbers of followers on Twitter or likes for HEIs’ Facebook pages and posts. The type of tweets, direct user interaction and website links will significantly moderate the relationship between social media followers and student recruitment performance – placing intrinsic value on type rather than amount of engagements, could be shown to be correct through analysis of whether potential students were finding answers to questions, using links supplied via social media and demonstrating satisfaction with their interactions. The level of social media use, direct user interactions, website links on Twitter and Facebook Talking About will be significantly different between Russell Group and non-Russell Group HEIs – a difference would have to be shown between the numbers of tweets and/or Facebook Talking About (FTA) relating to those HEIs in the Russell Group when compared to the non-Russell Group, as well as numbers of weblinks and levels of user engagement. Methodology – Data in the form of Facebook likes, FTA and Twitter followers was manually collected and the Twitter archive of each of the 56 HEIs in the study was harvested using web scraping software. The number and type of each kind of interaction was analysed and the data distribution plotted to show any relevant trends; the information was then examined using structural equation modelling, confirming the consistency of the trends. In order to determine how these results impacted on the hypotheses, the researchers garnered information from the Universities and Colleges Admissions Services (UCAS) showing the number of applications to each HEI per available place. Plotting the recruitment figures from UCAS against the analysis of the HEIs’ social media performance allowed any relationship between the two factors to be observed at distinct points in time and conclusions to be drawn. 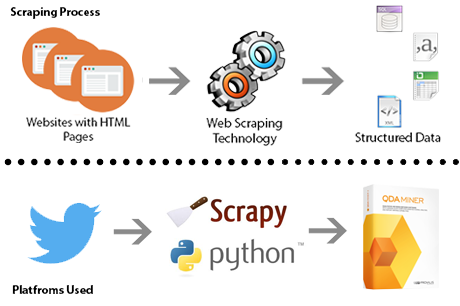 Figure 2 highlights the scraping process and platforms used in this research. Findings – The study shows that high numbers of Twitter followers, Facebook likes and FTA are strong indicators of recruitment performance, with Twitter followers being the most relevant factor. While a greater number of tweets does not predict greater success in recruitment, the type and quality of Twitter interaction is important; as prospective students often engage with HEIs on social media to find answers to specific questions, a swift response is more likely to create a relationship between the HEI and the individual, thereby encouraging recruitment. The amount and type of weblinks posted on social media has no discernible effect on recruitment performance. Hypothesis 4 was only partially correct, as Russell Group universities were neither making a significantly different number of tweets to non-Russell Group universities nor experiencing a higher amount of FTA. Russell Group HEIs were, however, involved in a higher average number of interactions and posted more weblinks, almost exclusively to their own sites, unlike non-Russell Group universities. 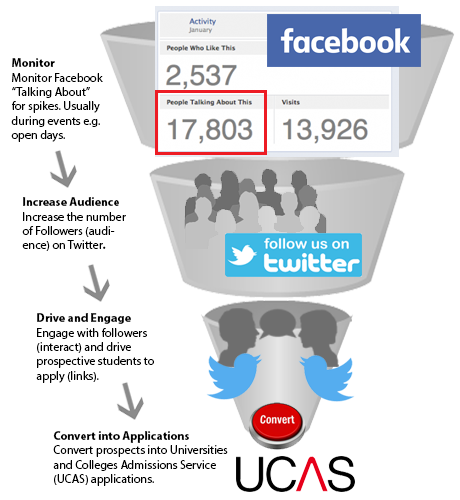 Figure 3 below summarises how social media can be used to achieve the highest level of UCAS demand. Conclusion – By engaging with those prospective students who have endorsed the HEI via Facebook likes or by following it on Twitter and making those engagements fast and accurate, social media can become one of the most effective tools at a university’s disposal. Regardless of status, those HEIs that create a strong social media presence can improve their brand image and increase student recruitment. 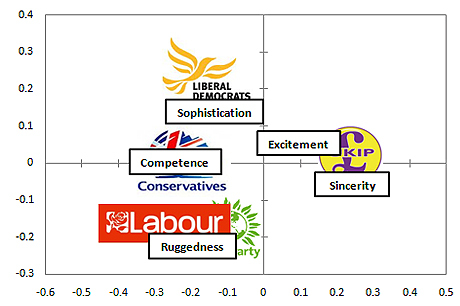 Political Brands: Can Parties Be Distinguished by their Online Brand Personality? This paper was in response to a call for greater exploratory research into brand personality in politics and a collaboration with Fiona Lettice and Chris Hanretty. The paper uses Aaker’s model of brand personality along with multiple correspondence analysis (MCA) to plot the relative personalities of five UK political parties. 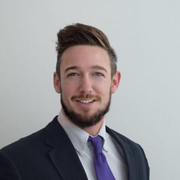 Rutter, R.N., C. Hanretty, and F. Lettice, Political Brands: Can Parties Be Distinguished by Their Online Brand Personality? Journal of Political Marketing, 2015: p. 1-20. Introduction – The UK political structure has expanded from what was once a two-horse race into a complex multi-party system. This is evidenced by the election of a coalition government in 2010 and the seven-party representation in recent pre-election debates. There have been, however, some suggestions that the electorate have little choice due to the homogeneous nature of a number of the parties. 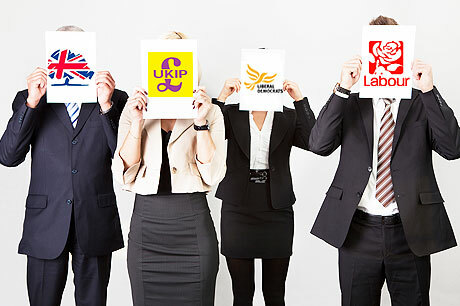 This raises the question of whether there is sufficient differentiation between parties and their policies, leading to increased attention paid towards the ‘brand images’ of the main five parties: Conservative, Labour, Liberal Democrat, the Green Party and the United Kingdom Independence Party (UKIP). Online presence – Parties represent themselves through a variety of media, including television and radio, advertising hoardings, newspapers and personal appearances, such as hustings; all of these contribute to the overall impression that is formed. However, when people are looking for a summary of a party’s position on a particular issue, they are likely to turn to the internet, reading both online articles and the contents of the parties’ websites. It is from the five main party websites that this research was able to glean a large amount of analysable data, which could be used to analyse the brand personality each appeared to present. Spatial politics: Brand characteristics – Although branding usually refers to a commercial product, the same principles have been applied to the presentation of political parties. The research utilised Aaker’s model of brand personality and five dimensions were analysed: competence, excitement, ruggedness, sincerity and sophistication. Using a system of categorising words and phrases that relate to these dimensions, known as Linguistic Inquiry and Word Count, it was then possible to perform a statistical analysis of the frequency of key words and, consequently, determine the dominant characteristics of each party. The findings showed that: competence and sincerity were considered primary dimensions, and sophistication, ruggedness and excitement took a secondary role. The brand ‘personalities’ of the parties – Using the method described, a clear picture emerged of the characteristics demonstrated through the online presentations of each party, as well as how strongly each characteristic was represented. The Conservative Party demonstrated competence very strongly, through use of such words as ‘responsible’ and ‘guarantee’, particularly in relation to economics. The frequency of words such as ‘rigorous’ and ‘tough’, on the one hand and ‘charismatic’ and ‘distinguished’ on the other, show a balance between ruggedness and sophistication. Labour showed a bias towards ruggedness and competence, although the latter was less clearly defined than the Conservative position. Their perceived level of ruggedness reflects a position more strongly espoused by the party after losing ground in the areas of sincerity and sophistication due to the electorate’s adverse reaction to decisions made by the Blair government. Having strongly communicated excitement and sophistication during their 2010 election campaign, the Liberal Democrats have been reduced to demonstrating weak residues of competence and sophistication. They are now unable to convince the public of their sincerity after failing to keep some prominent pre-election promises. Relative newcomers, UKIP, have the strongest brand differentiation of the five main parties, positioned in a unique space in comparison to the other four. They communicate a moderate air of excitement and, through their use of words including ‘realistic’ and ‘heartfelt’, a much stronger sense of sincerity. Of the five parties that operate throughout the United Kingdom, only the Green Party is failing to distinguish itself sufficiently from the others. Its data set shares space with both the Conservative and Labour parties, although it is generally considered to be more closely related to Labour. Unsurprisingly, since its chief area of concern is the environment, the Green Party most strongly communicates ruggedness, but fails to do the same for sincerity or sophistication. In summary, the study showed that the online brand personalities of four of the five main parties are clearly differentiated, with just the Green Party failing to achieve a unique position. With the results of the 2015 general election now a matter of record, it is entirely possible that those responsible for projecting the images of the parties will turn more heavily towards commercial branding practices. Bitcoin started out as a fringe movement among crypto-anarchists in the open-source community, but has rapidly gained acceptance as a legitimate alternative to fiat money as it pertains to digital transactions. Accordingly, the volume and value of mined Bitcoin has seen exponential growth since this crypto-currency was first launched in 2009. As per available data, nearly 13.28 million Bitcoins have been mined so far . Meanwhile, the value of a single Bitcoin has increased from £4.25 in July 2012 to a high of £753 in November 2013 – an increase of roughly 17600% . Bitcoin was originally developed as a fast, safe and cost-effective currency for digital transactions. Consequently, its earlier adopters were tech-forward users in the open-source community. Despite its growing clout in the mainstream, Bitcoin’s most aggressive proponents remain largely entrenched in this community. It shouldn’t come as a surprise, then, to learn that brand Bitcoin, as it exists today, has come to be associated with words like “underground”, “alternative”, and even “anarchic”. DC Forecasts latest crypto updates and they have been saying for years that this lends it considerable weight as a branding tool for certain businesses. For others, the negative connotations of Bitcoin, along with its proliferation through underground marketplaces, can be largely detrimental to the business’ brand image. Adopting and accepting Bitcoin through online channels, therefore, is something a brand must consider carefully before making a decision. There are some obvious business arguments in favour of using bitcoin to paypal, namely, the low transaction costs associated with the currency, emphasis on privacy, storage of coins in digital wallets, and speed of transactions. This has made the currency especially useful for digital-only transactions (i.e. purchasing digital products) where user privacy is important. For example, the popular website Reddit, which emphasises anonymity, accepts Bitcoin as a transactional medium largely because of its privacy features (Reddit’s community is also tech-oriented, which helps in higher adoption). Since Bitcoin is also decentralised and unregulated, it has earned the image of being a “pro-internet freedom” currency. Integrating Bitcoin gives a brand the added advantage of aligning itself with Bitcoin’s brand associations. As noted earlier, Bitcoin has come to be associated with the “alternative”. In some ways, this is not dissimilar to the debate between open-source and closed-source software in the 1990’s, when some brands adopted open-source solutions such as Linux to position themselves as the “mavericks” who care about “community” and “digital freedom”. Consider the example of the popular domain registrar, Namecheap. Namecheap has consistently positioned itself as the alternative to the more mainstream registrars (chiefly, Enom.com and GoDaddy.com). To this effect, it has aligned itself with pro-internet movements such as the Electronic Frontier Foundation’s legal fight against the SOPA (“Stop Online Piracy Act”) in the United States in 2011 . Namecheap later started accepting Bitcoin in 2013, noting in its release statement that the company considers itself the “pioneers in the space of innovation and online freedom” . 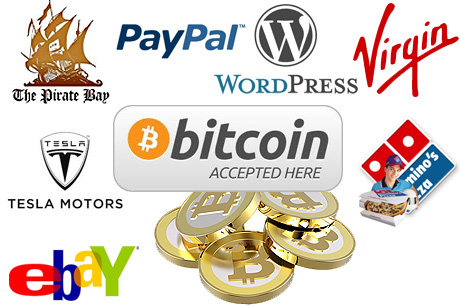 In fact, the top websites that accept Bitcoins is almost entirely composed of brands that identify themselves as the “alternative” . This includes Virgin Galaxy (space flights), OkCupid (the free alternative to Match.com), PirateBay.org (free, pirate alternative to file sharing), WordPress.com (free alternative to paid Content Management Systems), Reddit.com (alternative to Digg), Mega.com (alternative, restriction-free file sharing), and Overstock.com (online-only alternative retailer). When a business adopts Bitcoin, it is signalling to its users that it is a “maverick” that cares about issues such as internet-freedom, user privacy and being tech-forward. Brands that self-identify with these qualities would benefit the most from adopting Bitcoin – at least in the form that it exists today. However, the privacy and anonymity of Bitcoin has also made it the favoured transaction medium in underground marketplaces known for trading illegal drugs and contraband. The volume of this trade is immense, although given the secretive nature of these marketplaces, the exact figure is hard to ascertain. By one estimate, roughly half of all Bitcoin transactions are to buy drugs online . 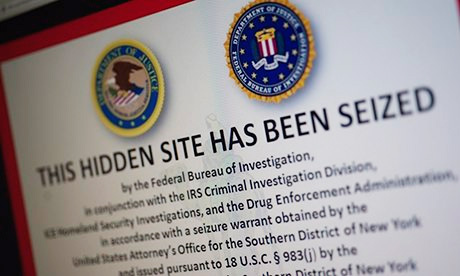 The large volume of these transactions, coupled with the recent closure of Silk Road  (the largest underground marketplace) and massive security breaches at popular exchanges like Mt. Gox  have affected Bitcoin’s image in the mainstream. Besides “alternative”, it wouldn’t be wrong to say that some have also started associating words like “illegal”, “scam” and “unsafe” with the currency (howsoever factually untrue it may be) . Naturally, this association rubs off on brands who choose to adopt the currency. For mainstream brands that don’t have tech-forward audiences that understand Bitcoin, this may even backfire. The keyword, thus, is “alternative”. Given the current state of Bitcoin, every brand should make careful considerations before aligning itself with the currency. 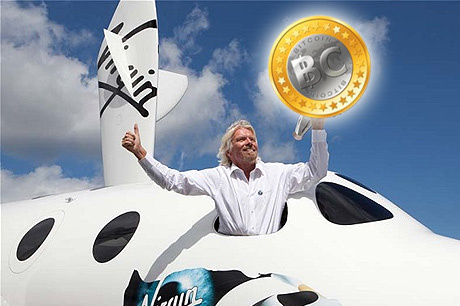 While on the one hand, it can amplify the “maverick” image of a brand that identifies itself as tech-forward, pro-internet freedom and “alternative”, it can also harm the image of a brand with customers who don’t fully understand Bitcoin and other crypto-currencies. Whether we accept it or not, all of us are in the business of information these days. From the coffee shop to the fashion boutique to the largest of multinational brands, it cannot have escaped many people’s attention that both prominence and profile are the fundamental marketing objectives of our time. And, as the points of contact between the organisation and the consumer continue to proliferate horizontally, rather than hierarchically, it is the shared experience and the common interest which will always dominate the marketplace of this newly levelled playing field. But how does our current information revolution relate to the spheres of higher education and to the brand identities that many institutions have carefully cultivated for themselves over the years? Will distance learning across the web ultimately prove itself to be an evolutionary leap in how we approach the sharing of knowledge and our understanding of how it is taught? And is the online model a financially viable one: that will generate not only sufficient revenues to sustain itself, but to also attract the leading institutes and the brightest students into participating? These are the key challenges facing the first generation of massive open online courses (“MOOCs”), as we see them today. There is something of a strange irony when considering the length of time it has taken for the first massive open online courses to find their way into the public domain. Because the technology of the internet was originally developed with the specific purpose of allowing academic bodies to communicate and to share knowledge across the globe. It is a particularly harsh reality then that the vast majority of learning institutions have, until now, proven themselves as slow to adapt to, or to even recognise, the central role that the online world will play in the future of education. From a technical standpoint, there is no reason why this should be the case. Both text documents and streaming media content are amongst the most basic of web content to manage. So the slow exploration of the digital realm by academia is more likely a result of factors beyond either the technical or the logistical. Instead, it should be assumed that the most frequently aired doubts raised about MOOCs by higher education institutions (“HEIs”) – those of financing, and a perceived undermining of reputations – have been the primary deterrents up until this point. In this regard, HEIs have positioned themselves alongside the corporate media, which has been equally slow in finding new ways to exploit the online environment as a method of securing global audiences. Both media and academia fear a loss of income that this may entail, but history has taught us that we cannot shout at the waves of change. Only this week, the writer and social commentator Will Self wrote of the “irrevocable severing” of media and information from an assured revenue stream. MOOCs are the way that institutions will remain active and responsive to the demands of an online, global marketplace for learning. In this regard, the success of MOOCs will be a self-realising one. The institutions which break new ground online will achieve a greater global prominence for their brand, and as their popularity inevitably grows with a broader uptake of courses, so too will it attract the previously sceptical competitors into the market. With this added degree of competition, the quality of the MOOCs on offer will, in turn, reach new heights, and so the prestige of offering a respected MOOC will feed back to the institution itself. As with any form of online social media, success is governed by participation. This is not to suggest that institutions will immediately offer a full degree through the MOOC platform, but insight and background into the subject, which will capture the imagination and whet the appetites of new students. 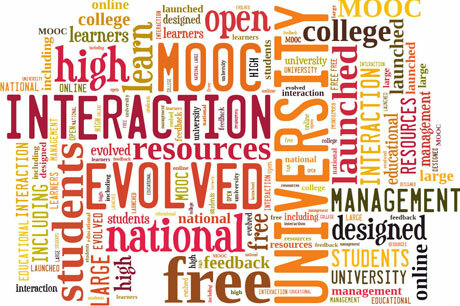 Indeed, there are many benefits from creating an identity for MOOCs which is distinct from on-campus learning. In the USA, for instance, Ivy League universities such as Stanford provide online students with a Statement of Accomplishment carrying the Stanford brand, but not certificates or course credits. Far from being a limitation of the MOOC system, it is just such an innovative approach that benefits every party, from the student, to the HEI, to the MOOC platform itself. A Statement of Accomplishment will be an invaluable addition to any student’s CV. To the institution, it will make their brand a prominent and highly recognised one and – most importantly of all – one that is increasingly in demand. 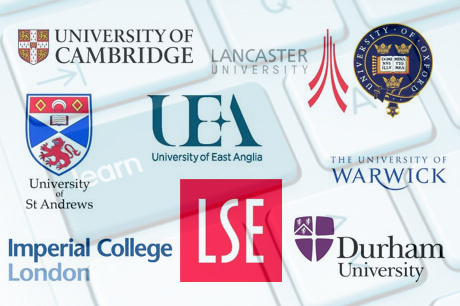 The first MOOCs are about to go live in the UK and, tellingly, the most notable participants are those institutions which are well known for championing innovation over tradition. 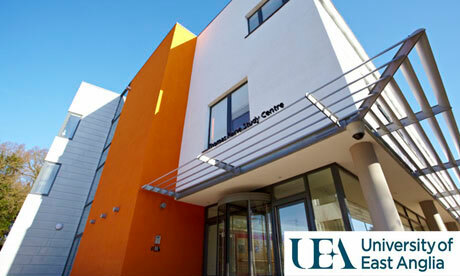 The University of Southampton offers students from across the globe the opportunity to learn “How the Web is Changing the World”, whilst the University of East Anglia will investigate “The Secret Power of Brands” in partnership with brand agency Wolff Olins, cementing its reputation as a world leading institution for brand leadership studies. 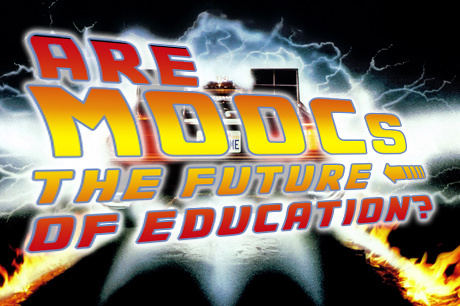 If any one course is emblematic of the entire MOOC experience, it is this. So, can universities turn a lively, open and online learning experience into a viable and self-sustaining revenue stream: one which attracts the brightest and best students in high numbers? It is still early days in the MOOC life cycle, but anecdotal evidence from across the globe is positive. In Asia, where online learning is an established part of education, individual tutors are already earning substantial fortunes by making their courses available across the web for a small fee which is still a tiny fraction of the cost for on-campus education. At this preliminary stage, it would be damaging to promote the inclusion of paywalled course content for domestic MOOCs. But their popularity would suggest that the concept of online learning is attractive to the general public and that it is, indeed, a growth market. We are still very much at the dawning of this social media age. Although there are lessons to be learned from the early pioneers of our new digital frontier, it would be naïve to presume that we have already seen the high water mark of this new approach to the sharing of information and marketing strategy. As the online environment evolves, every organisation – from the corporate to the academic – will need to respond and reposition itself to maximise the full potential of its own brand. The academic and practitioner literature which surrounds branding would seem exhaustively to have discussed all of the possible ways in which the brand experience can be crafted within businesses. In contrast, however, the literature on the ways in which higher education institutions (“HEIs”) formulate and think about their brands is sparse. Whilst some of the principles which apply to universities are similar to those within the business sector, such institutions actually think somewhat differently about themselves, and the way in which their brand experience operates. Of course, the first thing to realise about most HEIs within the UK is that they do not think very much about the brand experience at all. The majority of branding work within universities is still relegated to the marketing department, rather than being treated as an integral part of the academic sector. Many academics view branding as a dirty word, not wanting their work to be packaged and sold in the same way as a chocolate bar might be. As one might expect, this attitude leads to most HEIs within the UK presenting a disparate and confused brand to their potential ‘customers’. Those HEIs which have crafted a successful branding experience have usually explicitly realised the necessity of defining their own brand, and of identifying their unique selling point. In the academic sector, the ‘customers’ to whom the brand experience is important can be seen as the students whom the HEI is attempting to recruit, and the academics whom it is attempting to employ. If a university wishes to differentiate itself from the herd, then a unique brand experience is key. An example of this can be found at Loughborough University, which has been highly successful in leveraging its initial investment into sports infrastructure and technology into a world-wide brand around sports excellence. 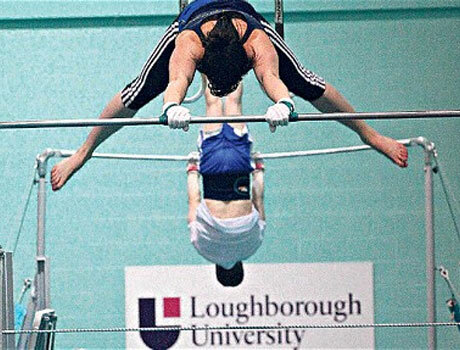 In order to do this, Loughborough identified its existing strengths, and made an active decision to focus its marketing and branding efforts around them. Simply put, it has been more successful than most in promoting its unique selling point. This is so much the case that students in other subject at Loughborough often complain that people assume they are studying for a sports science degree! The numerous undifferentiated HEIs across the UK could learn more from Loughborough’s experience than the simple importance of defining one’s unique selling point. The university has also been adept at making use of free and/or cheap publicity, both by hosting high profile sporting events such as the Loughborough International athletics meeting, and leveraging the profile of famous and successful alumni. Other HEIs have not had to make such a proactive effort to achieve the same level of publicity, with already famous institutions such as Oxford attracting it as a matter of course. 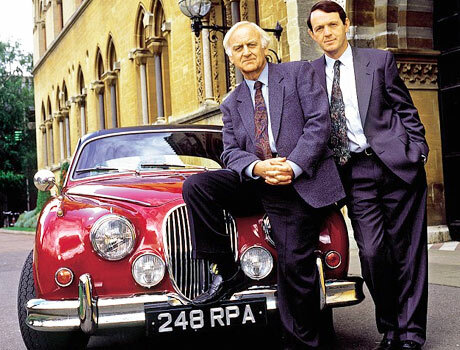 Oxford’s brand recognition, for example, cannot have been harmed by being the weekly subject of the TV programme Lewis (and before it, Inspector Morse). The suggestion that the city is a hotbed of murder and intrigue, of course, might have been less useful! All joking aside, smart organisations align themselves not only with their existing strengths, but with the appeal of their geographical location. 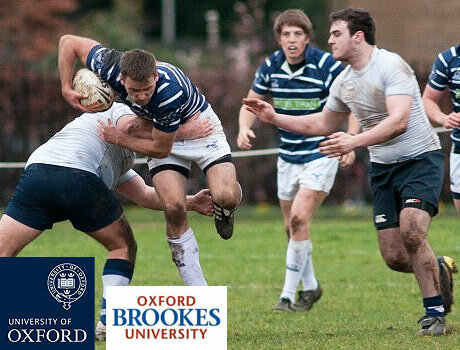 Whilst the University of Oxford is a special case given its existing brand strength, the same effect can be seen through an examination of the city’s other university, Oxford Brookes. That organisation has made a point of playing up the refined atmosphere of the dreaming spires, even though it is actually situated to the east of the historical Oxford city centre. Those managing Oxford Brookes’ brand experience know that the reputation of its sister university can be used to their advantage, and have not been slow to do so. Whatever the unique selling point and free publicity which is leveraged for it, however, no brand experience can substitute for the reality of an institution’s advantages and disadvantages. Too often, brand managers seem to believe that they can weave a story which will eliminate the actual weaknesses of their organisation and the courses it offers. Such a strategy cannot last for long. Again, Oxford Brookes can be used as an example. Its postgraduate legal offering ran into trouble this year, suffering as a result of the downturn in the economy and the resulting lack of demand for the vocational training required to become a solicitor. Whilst it attempted to sell its course using the traditional attractions of its location, and its unique selling point of partnership with the University of Oxford, the best brand experience techniques were no match for the blunt economic realities of the legal market. Above all, brands must be aligned with reality, if they are to survive. If HEIs manage this, identify their unique selling point correctly, and take advantage of free publicity, they will be well on their way to successful differentiation. Over the last few years, every institution in the Western world seems to have jumped onto the social media bandwagon. Often without much accompanying analysis, organisations have assumed that engagement through social media will have positive effects on their recruitment and performance, and the higher education sector has been no different. 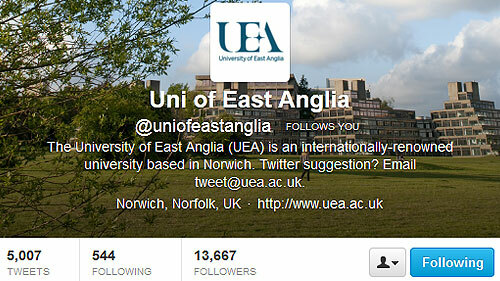 It is rare indeed to find a university which does not maintain a Twitter feed and Facebook presence at the very least. Only now, however, is work really being done to examine how these tools might actually affect university performance. Social media consultancy Sociagility recently carried out a study which attempted to measure the correlation between engagement with interactive online communication and overall university rankings. 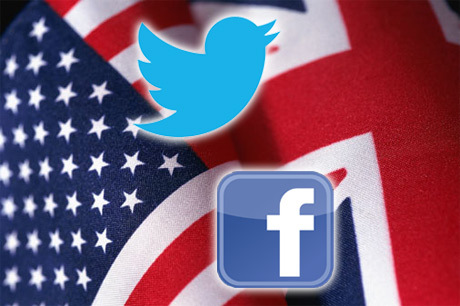 After measuring the social media output of the top 25 US and UK universities (as found in the Times World University Rankings) within a comprehensive scoring system, the report found a very close correlation between social media scores and overall institutional rankings. In other words, the better the university performed, the more successfully and actively it used its social media outlets. Of course, in some ways such an outcome is unsurprising. The best higher education institutions in the world inevitably tend to have more money than less reputable institutions, and so are likely to have a more comprehensive social media strategy. The report did not claim to prove a causative link between social media use and institutional success. What it did show, however, is that UK universities as a group scored significantly lower in measurements of successful social media usage than their counterparts in the US. It seems that the British education sector has yet to catch up with the use of social media. Some might argue, however, that lagging behind in terms of social media is not such a bad thing. For example, recent research jointly conducted by the PR firm Communications Management and The Student Room has found that a university’s online activity has little bearing on student recruitment. Over 300 current and potential students were surveyed about their choice of university in this study, and whilst two-thirds of students use social media channels several times a day, this outlet of information was rated as both less influential and less trustworthy than traditional printed material, or face-to-face communication opportunities. Such research does not show that social media is unimportant, but rather that higher education institutions should take a balanced view of its utility. It is certainly not the panacea which might have been hoped for in some quarters, but neither is it useless, particularly given the high social media usage of the student demographic. Ultimately, universities which wish to use social media appropriately need to understand that the most important part of any student’s choice of institution is reputation. Social media is not only a tool for communicating that reputation, but also a powerful factor in shaping it, as long as the university is willing actively to engage with current and prospective students. In other words, simply having a Facebook and Twitter account is not enough. 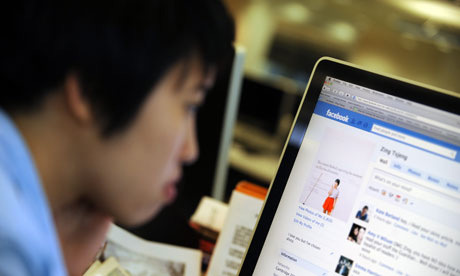 The research conducted by Communications Management and The Student Room suggested that many of the students surveyed were unaware that their chosen university even had a social media presence. In order to be effective, such tools must be actively utilised, rather than simply existing. What is more, the information put out through such media cannot simply be the usual promotional and PR language simply translated to a different medium. Students gave clear feedback in the survey that “they [universities] do not talk about the things we need to know” and that “I don’t find enough useful information [on social media channels] that relates to me”. Essentially, the study has found that social media is of little use unless its content is both targeted at the right audience, and utilises the strength of the medium. Rather than talking ‘at’ students, universities should be using social media to find out what is of interest to them, and then tailoring their output to the responses received. That, after all, is the strength of social media. The number of institutions which still appear to believe that simply having a Twitter presence is enough to grant online credibility is astonishing. As the above quotations reveal, many universities do not even signpost students to the fact that they have a social media presence, seeming instead to believe that their work via social media will somehow be noticed by osmosis. The traditionally bureaucratic structure of higher education institutions may also be problematic when seeking to use social media effectively. After all, the manager of a social media account is unlikely to have the authority needed to respond properly to student concerns, and in most cases will not even be monitoring social media channels in a full-time capacity. Twitter, Facebook and other such media cannot be used to their maximum effect without significant effort and thought being put into the task. As with all university functions, social media works much more effectively if it is part of a wider recruitment and performance strategy, and if its purpose is clearly identified. Currently, too many universities see their social media presence as a box to be ticked, rather than a powerful tool to be explored. It is, perhaps, little wonder that many students currently feel that universities have missed the point of social media altogether. 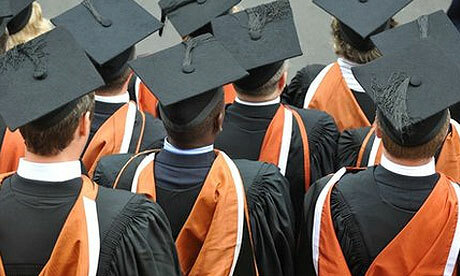 It remains to be seen whether the UK’s higher education sector will eventually catch up with its US counterpart. “Margaret Thatcher, milk snatcher”. Ask most people about the recently deceased Prime Minister’s impact on education, and most will reply that she took away free milk from schoolchildren whilst serving as Secretary of State for Education under Edward Heath. However, memorable headlines apart, Margaret Thatcher actually had a sweeping and widespread influence across the education sector, and nowhere more so than in the traditional world of universities. As with so many other things about Margaret Thatcher’s political career, opinion is split about the desirability of the revolution she and her philosophical soul-mate, Keith Joseph, brought about in the higher education sector. Far from conserving the traditions of Britain’s ivory towers, Baroness Thatcher’s government sought to introduce competition and free market ideology into the country’s universities for the first time. She started a trend which has continued over the last three decades, and in many ways has resulted in British academia becoming almost unrecognisable from the pre 1979 years. 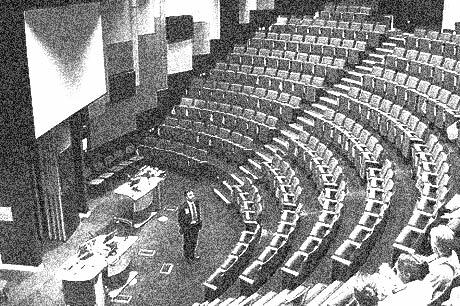 It did not take long for the new Thatcherite government to start altering the university sector, with sweeping cuts being made in 1981 as part of the wider monetarist agenda. Many universities were given only a month to make 18 per cent cuts in their overall budgets, and over 3,000 academics lost their jobs as part of the retrenchment in funding across the public sector. In the same year, the government approved the introduction of full tuition fees for international students, and also attempted to offset the impact of this move by taking the first steps towards marketing the UK’s higher education sector as a desirable export to developing countries. For many in Baroness Thatcher’s government, the introduction of tuition fees for international students was just the first step towards the full marketisation of the higher education sector. That, however, was an idea whose time had not come, and despite Keith Joseph’s plan to abolish the maintenance grant and introduce tuition fees for all students, the political situation during the miner’s strike forced the shelving of such radical ideas. Instead, the Conservative government introduced the concept of competition into universities in more subtle and perhaps more far-reaching ways, the most controversial of which was the formulation of the Research Assessment Exercise. The RAE, which first took place in 1986, was designed to measure the research output and quality of higher education institutions within the UK, and was the progenitor of the various league tables and assessment procedures which exist throughout universities today. It was enormously controversial upon its introduction, and was seen as ushering in the end of ‘pure research’ in favour of market orientated academic work. It can certainly be said to have led to an increase in competition between universities, which has only increased after the transformation of the old polytechnics in the 1990s. The RAE and its successors introduced quantitative assessment into a sector which previously operated almost entirely on reputation and freedom of research, and there can be no doubt that this has changed the face of academia throughout the UK. 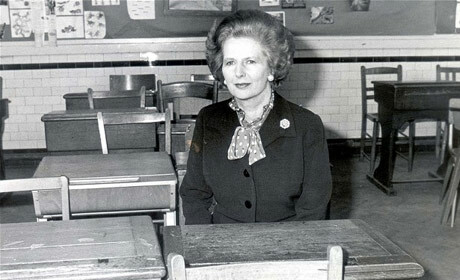 Once the RAE had been conducted, the government led by Margaret Thatcher continued to push forward its radical reforms in the education sector, accomplishing the long desired abolition of tenure for university professorships in 1988. Many senior academics consider this to have increased the tendency for research to orientate itself towards business-friendly applications, and blame it in part for the decline of research into the liberal humanities. Others, however, point to it as a vital move towards the increasing efficiency and relevance of academia to everyday life. It has certainly contributed to the rise of the ‘new managerialism’ within the higher education sector, as well as the increasing importance of business tools such as branding. Of course, the Thatcher government did not entirely break with the past when administering higher education. 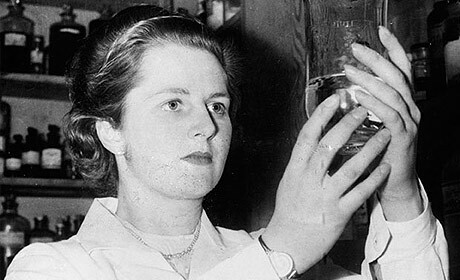 As might be expected by an Oxford graduate and former scientist, Baroness Thatcher was keen to push forward scientific research, and her interest in building a meritocratic society led her to champion some projects which were initiated by Labour, such as the Open University. 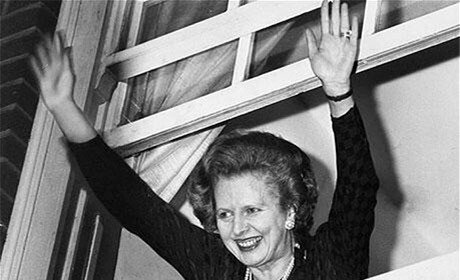 Throughout the decade of Thatcherite policies, however, an emphasis on increased competition and efficient administration continued to transform even these originally socialist projects. Ultimately, however, it may be that Baroness Thatcher’s most significant achievement in the higher education sector was the legacy she left, providing the foundation upon which others could build. Allegedly, when asked about her finest achievement in politics, she replied “New Labour”. Nowhere is this more evident than in higher education. Tony Blair was able to radically transform the university sector only because of the foundational work which had been done by Baroness Thatcher and her government. Regardless of whether one views modern academia as efficient and responsive or managerialist and overly competitive, Margaret Thatcher’s policies can be seen everywhere. She truly did have a significant impact throughout society. Anyone who has ever had a discussion with someone who has bought products from either Apple or John Lewis will recognise the signs. The slightly fanatical stare and almost religious language, the identification with the product or service not just in terms of its efficiency or quality, but also in terms of the values it promotes. Both organisations are prime examples of successful brands, and of the ways in which organisations can become anthropomorphised in the imaginations of consumers and other stakeholders.There is no doubt that companies, driven by the incentives of the marketplace, have been in the forefront of such branding exercises. Nonetheless, organisations in other fields have also been branding themselves for years, often in unconscious but extremely powerful ways. The higher education sector is no different to other areas of the economy in this regard. The University of Oxford, for example, can boast a complex and highly effective brand, which operates around its traditions, history, reputation for academic excellence and place in the wider cultural context of the United Kingdom. Meanwhile, on the opposite end of the spectrum, the University of Sussex continues to benefit (and, in some ways, suffer) from its reputation as a left-wing and progressive institution. With the advent of the Research Excellence Framework, many universities have been engaged in a near frenzy of offers and counter-offers to so-called ‘research stars’. The quality and quantity of research produced by higher education institutions will now dictate, in large part, the funding provided to them. As a result, salaries for the top end of the academic scale are increasing, whilst those academics who are committed to teaching or whose publication history is less than stellar find themselves near the scrapheap. Clearly, such a bidding war disadvantages smaller and poorer institutions. It is here that branding within higher education can come into its own. The business sector has long recognised that salary is only one indicator of job satisfaction and that, indeed, it is often not the most important factor when considering both recruitment and retention of top quality employees. After a certain point, salary functions largely as an indicator of status, as well as a sign that the company values the work done by an employee. Many innovative businesses have found that a supportive working environment, non-financial ‘perks’, and an institutional value system which aligns with those of the employee, are actually significantly more important when considering retention than salary alone. Clearly, as well as being potentially able to offer larger salaries to academic ‘stars’, the top universities in the country are also able to call upon established branding in order to persuade the best of the best to become their employees. Smaller institutions can also develop effective brands, however, which will allow them to compete in the new, research-led climate. For example, whilst the University of Oxford may well be attractive to a top academic due to both the financial security of an offered post and the intellectual excitement of becoming part of a tradition of academic excellence, such a job also has its downsides. A savvy, smaller institution may not be able to offer the tradition of Oxford, but it can provide a top academic with the opportunity to take a leading role in helping to catalyse a rise up the institutional rankings. It can, also, offer the kind of status and importance within the organisation which even the most prominent academic in Oxford is unlikely to possess. In other words, universities need to play to their strengths when branding, and need to recognise that their brand is vital when potential academic employees make job related decisions. If an institution does not already have an established brand, no time should be lost in planning a branding strategy, and then executing it. Due to the relative cheapness of online communication channels, this does not have to be an expensive exercise. When done properly, it can form part of a positive feedback loop which rapidly alters and enhances the recruitment and retention of employee talent. 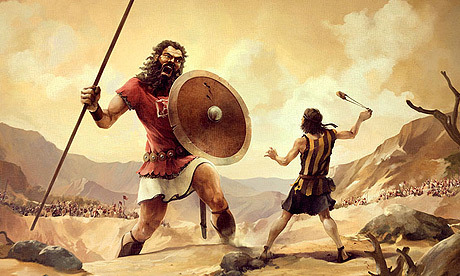 When facing the institutional Goliaths of the academic world, small higher education institutions can feel like David, overwhelmed and overmatched by organisations with more resources and more established reputations. If Apple had reacted to such a situation by simply maintaining their existing brand, it is likely that they would have gone out of business many years ago. Instead, they proactively chose to fashion their weakness into a strength, and to set themselves up as a brand which appealed to a certain type of person. Similarly, if a university does not have centuries of tradition or hordes of Nobel Prize winning alumni, it is still possible to establish a reputation for academic innovation, a friendly atmosphere, beautiful surroundings, or even excellent perks such as fantastic food and drink! In essence, then, it can be seen that financial resources are not the be-all and end-all of recruitment and retention, either in the corporate or higher education sectors. As the REF era begins, and ever increasing salaries are mooted for academic stars, universities would do well to consider their branding before simply adding another few thousand pounds to their financial offers. Not only will it pay off in terms of recruitment, but it can help to forge an identity for the institution which will drive positive change for years to come. How can universities keep their star academics happy to stop them succumbing to a rival’s advances? At a time when budgets for primary research, teaching and educational infrastructure are being slashed, it might seem that branding should be a very low priority for higher education institutions. This is certainly true, if branding is viewed as an inevitably expensive and resource-intensive process. This does not, however, have to be the case. A rebranding exercise can give new life to a demoralised institution, helping to refocus staff and students onto their primary goals, and to externally project those goals into the wider world. Of course, branding can certainly be done in the wrong way. Research suggests that undertaking commercial branding in the context of “not for profit” organisations can create a spirit of harmful rivalry within the sector in question. This can cause a marketing ‘arms race’, in which all institutions increase their spending on branding in order to produce often questionable and intangible benefits (Sargeant, 2009). This was often the case during the economic boom years, particularly within a higher education sector driven by the government target of 50% of young people achieving a university degree. The research above, however, suggests that instead of a traditional high-spend strategy, universities may be better served by leveraging their strengths of creativity and innovative thinking. One recent example of a university doing just this is the University of California, which underwent a major rebranding exercise in the last quarter of 2012. Taking their starting point as the logo which has represented the university for over a century, the team working on the project aimed to create a modern and instantly recognisable identity for this disparate collection of higher education institutions from across the state. They recognised that, at a time of spending cuts and belt-tightening, it would not be appropriate to launch a traditional branding exercise. Instead, they have attempted to cut through the current image of the university with one new logo, supported by a range of low-cost marketing tools. The rebrand has ensured that discussion around the University of California has increased, and that residents of the state who had hitherto taken the institution for granted are being exposed to its values, its purpose, and its relevance to 21st century California. In the era of digital communication and viral media, it should be easier than ever for non profit organisations to leverage their existing non-financial resources when looking at branding. There is no need to spend vast amounts of money on marketing if existing staff, students and other stakeholders are consulted about what makes the university attractive to them. Finding out the reasons for existing stakeholders having chosen the institution makes it possible to build on already existing strengths within the brand, whilst building loyalty to the institution and a sense of involvement within its academic and alumni community. It may also be advisable to ask students and staff from other institutions about the existing brand of the university, to better recognise its weaknesses. Consulting existing stakeholders is only the beginning of leveraging an institution’s existing strengths. In an era of innovative and virtually free online communication techniques, which are often spread through social media and viral marketing, a university’s staff, students and alumni can be significantly involved in promulgating the brand message on which they have been meaningfully consulted. 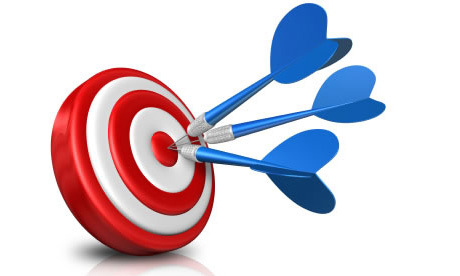 If a rebranding exercise forms a coherent part of a comprehensive strategy which is understood by all stakeholders, a non profit organisation can leverage the kind of support which, in previous decades, would have cost large amounts of money to purchase from professionals. Existing marketing strengths can include the location of the institution, which often plays a role in the branding of universities (see Chapelo, 2010). It has been found that certain cities, such as Manchester, are broadly considered to be desirable from a lifestyle perspective, whilst others, such as London, offer a cosmopolitan and international experience. The branding efforts of higher education institutions within those locations tend to work in synergy with the existing brands of the city, gaining strength and influence without any additional injection of money (see Walvis, 2003). The local and regional political institutions of such cities have access to significantly greater resources than most universities, and working with the grain of their marketing strategy makes a great deal of sense. It is also open to academic institutions to reverse the pattern of the marketing ‘arms race’ which was identified above, and instead to work together to strengthen the brands of their particular academic specialisms. This can be done either through the centrally directed efforts of the institutions themselves, or at the initiative of particular academic departments and their natural inclination to work together on specific projects. Rather than promoting one institution over another, universities can advertise the prospect of cooperation and synergy with other institutions as a positive good. No university is an island unto itself, and the marketing efforts of such organisations should recognise this. Weaknesses in a brand can be offset through cooperation with other organisations. It should now be evident that a branding approach which involves significant investment of financial resource is only one kind of marketing strategy which can be utilised by higher education institutions. Particularly in the current economic climate, it is almost certainly not the best approach for universities to be taking. Instead, such organisations should be seeking to leverage existing positive factors, both in terms of the creativity of their stakeholders, and the existing brand strengths of both their location and their academic specialisms. Chapleo, C. (2010). What defines “successful” university brands?. International Journal of Public Sector Management, 23(2), 169-183. Sargeant, A. (2009). Marketing management for nonprofit organizations. Oxford: Oxford University Press. Over the past few decades, league tables have become part and parcel of the education sector in the United Kingdom. Whether academics like it or not, this includes higher education institutions, which are increasingly driven by their performance in various university rankings. This focus on reputation, however, can marginalise the equally vital imperative to work on the university’s overall brand. The concept of ‘branding’ is now so endemic within society that it has come to mean many different things to those who use the term. When understood from a professional viewpoint, however, it has a very specific meaning. A successful brand is one that communicates a set of overriding values from the institution to the consumer or customer. One of those values may well be ‘continued excellence’, but they may equally include ‘links with the business community’, or ‘superb social scene’. A brand is a complicated and interconnected nexus of messages, and cannot be reduced simply to academic performance. In contrast, reputation can be viewed in the context of a higher education institution as reflecting continued performance on the academic stage. Regardless of their branding – which are equally successful in their various ways – Oxford’s academic reputation is clearly greater than University of East Anglia’s, for example. In other words, a university’s brand is not necessarily the same as its reputation, and is certainly not synonymous with its academic reputation. A careful branding strategy will not rest simply on reputation, but will be sculpted to the institution’s own strengths and weaknesses. Of course, it cannot be denied that academic reputation, symbolised by an institution’s position in league tables and similar rankings, is important. Many universities will have dedicated at least part of their branding efforts into communicating a message about their areas of academic strength, and a poor showing over an extended period of time will certainly undermine that message. HEFCE themselves, however, acknowledge that league table position tends to confirm institutional reputation, rather than forging it from scratch (cf Locke, Verbik et al, 2008). Performance in league tables and other such rankings will, therefore, be significantly more important for those institutions which have invested much of their brand effort into their academic strengths. This is not always about strong reputation across the board, however, as many institutions will have identified an academic USP into which they will pour most of their reputation enhancing efforts. An institution which promotes itself as a significant leader in the area of legal studies, for example, may not be as concerned by a low rating in the sciences as it would be by a poor ranking in law. Many academic studies have confirmed the finding that successful branding performs a role which affects the popular view of an institution over and above league table positions (cf Chapleo, 2011, for an example). This should hardly be surprising, as no prospective student or academic chooses an institution solely using the criteria of academic performance. If this were so, Cambridge would boast all of the best academics and students in the UK, to the detriment of every other institution. Whilst it cannot be denied that Cambridge’s reputation has had a significant impact on its recruitment and retention, the branding efforts of other universities have succeeded in attracting some talent away from the institution which, on the face of it, should surely be the obvious first choice for anyone making an academically orientated decision. A strong brand communicates far more than a simple league table position can when it comes to a university’s strengths and USP, and a strong branding strategy can compensate for significant weaknesses in academic rankings. Indeed, Locke et al (2008) have found that league table position is predominantly used to ‘confirm a decision already made’ when it comes to students deliberating over whether to attend a specific university. That ‘decision already made’ is informed and guided largely by the success or failure of an institution’s branding strategy. Whilst academic reputation may be one plank of that strategy, the most successful universities weave in a host of different values to form a strong and coherent brand which attracts both students and academics, as well as research funding and benefactors. As covered in previous articles, this can create a ‘virtuous circle’, in which a strong brand feeds into academic reputation. Performance can be improved by a strong branding effort, whilst strong performance cannot make up for a weak brand. This is clearly evident if one imagines a high achieving student, choosing between universities. Whilst clearly academic reputation will be a factor, it will not be the only influence on the ultimate decision. Certainly, if the reputation of the two institutions is finely balanced, the student will be making the decision based on the branding of the two universities, and what that says about the kind of institution to which they wish to belong. The university which ‘wins’ this branding competition will secure an excellent student, whilst the university which loses will miss out on the best talent. This will have repercussions for decades to come, particularly if such a decision is repeated over multiple years by multiple students. Before long, the reputation of the ‘losing’ university will be dipping, and the reputation of the ‘winning’ university will be rising – and all because of an emphasis, or lack of it, on branding. Chapleo, C. (2011). Exploring rationales for branding a university: Should we be seeking to measure branding in UK universities&quest. Journal of Brand Management, 18(6), 411-422. Locke, W. (2011). The Institutionalization of Rankings: Managing Status Anxiety in an Increasingly Marketized Environment. 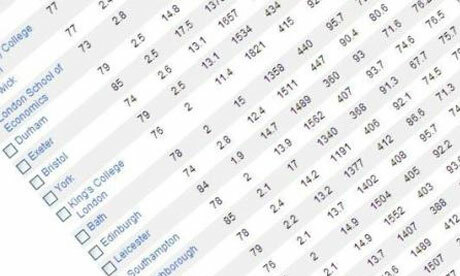 University Rankings, 201-228. Locke, W., Verbik, L., Richardson, J. T., & King, R. (2008). Counting what is measured or measuring what counts? 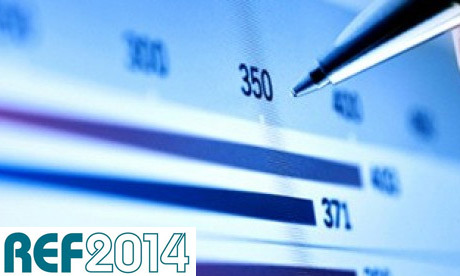 League tables and their impact on higher education institutions in England.